Worth buying? I want some HUKD opinions! I don't want to buy it and smell like dog poo. Worth buying? I want some HUKD opinions! I don't want to buy it and smell … Worth buying? I want some HUKD opinions! I don't want to buy it and smell like dog poo. Defo a good scent. Has alot of staying power, is sophisticated and manly. I would say suited to businessmen :). Those are obviously all my opinions sooo people might disagree!! I actually have this on right now. My favourite is 1 Million and Ralph Lauren Polo Blue. I also have Armani Diamonds, Diesel and Aqua Di Gio to give you an idea. This SHOULD get super HOT and will probably sell out as its a cracking deal for a 200ml. £34.99 for 200ml. That roughly works out at £17.50 for 100ml. Good find, have some heat! 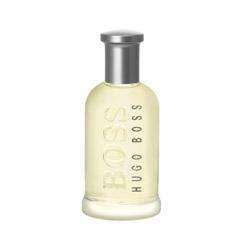 Basenotes has this down as a sweet spicy apple pie type fragrance and nice if you like that sort of thing! damn - this is outstanding. I paid £40 for it last week and thought I got a good deal! £34.99 for 200ml. That roughly works out at £17.50 for 100ml.Good find, h … £34.99 for 200ml. That roughly works out at £17.50 for 100ml.Good find, have some heat! I also went via Quidco for another 8% off, but that might not be paid as I used the voucher code above. MIRROR5 will not work any ideas?? Defo a good scent. Has alot of staying power, is sophisticated and manly. … Defo a good scent. Has alot of staying power, is sophisticated and manly. I would say suited to businessmen :). Those are obviously all my opinions sooo people might disagree!! Agree it smells amazing, however I strongly disagree with the staying power comment, this stuff wears off very quickly this is why it's so cheap, it's been at this price and lower before in other stores. Still an amazing deal, as it is in my opinion one of the best smelling fragrances out there. However I stick to Issey Miyake, that's a country mile ahead of anything in terms of staying power, can still smell it on my clothes after I wash them!! Been wearing this for years, really nice stuff. Paid £39 for this last week and was happy do this a great price! Agree it smells amazing, however I strongly disagree with the staying … Agree it smells amazing, however I strongly disagree with the staying power comment, this stuff wears off very quickly this is why it's so cheap, it's been at this price and lower before in other stores. Still an amazing deal, as it is in my opinion one of the best smelling fragrances out there. However I stick to Issey Miyake, that's a country mile ahead of anything in terms of staying power, can still smell it on my clothes after I wash them!! Ah I see, doubt it's diluted as I have purchased several times from well established places, I tend to use it in the summer. To be honest you're probably right because I do tend to think that whenever I buy other popular fragrances I'm never happy with the staying power. So I guess it's probably because Issey is a whole league above the rest, that and Tom Ford Black orchid. Issey Miyake suffers in winter, it's certainly no Le Male or GIT in terms of longevity and projection. This is not a bad deal but it's no winter scent, I own it and may wear it come spring. Probably the best non-niche scent I'd wear at the moment is Dior Homme Intense. For niche I'm currently wearing various, but at the moment it's either Serge Lutens Ambre Sultan, Tom Ford Tobacco Vanille or Le Labo Patchouli 24. Cheers OP, ordered and heat given. Regarding all the comments on here.... come on guys!!?? Its a nice aftershave, doesn't make you smell like a kid nor a grandad, its just a decent, fresh scent. You like it or you don't, if you dont know then nip down the shops and test it. Simple! Might get a bottle, always have one in the car to freshen up. My fragrance is penhaligons Endymion, opus or Blenheim but they're considerably more expensive lol. Oh and a bottle of 212 in reserve. Guys do you need to add the free gift in the basket or will it be added automatically ?